Wedding planning is stressful enough as it is – who needs all the fussy rules to boot? Traditions have been at the core of weddings since they began. While some are fun to follow and carry a lot of meaning, others are more of a hassle and have become old fashioned. While you might see a lot of things in this book that you probably should “do,” here are few rules you just don’t actually have to follow. The parents of the bride foot the bill. While traditionally the bride’s parents were always expected to pay for the wedding, that is no longer the case. As weddings get more expensive and bride and groom get married a bit older, it has become more common for the couple to pay some or all of the expenses. Some couples split the bill with both of their families, and some pay for it all themselves. Do what is best for everyone’s family and finances. Only the wedding party can come to the bachelorette party. 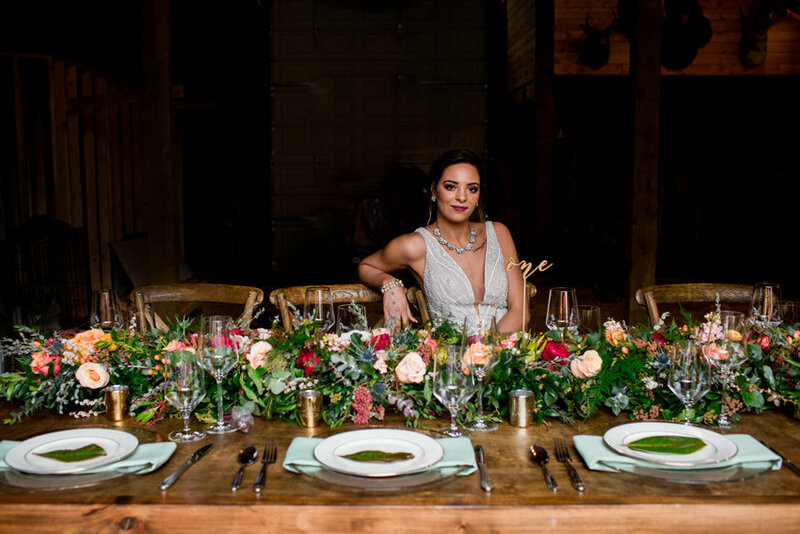 While your wedding party may be limited to a small and finite number of friends, that doesn’t mean your bachelorette party has to as well. A party only gets better with more friends around, so feel free to invite everyone you want to share in the celebration. The only rule? They have all be invited to your wedding, otherwise it is considered rude. You can’t see the bride before the ceremony. This one has been out of favor for a while, especially since “first look” photos have become more common. While this tradition is still followed by some for its charm, don't feel like you have to wait until the ceremony to see your betrothed. Your wedding palette should consist of three colors. Let the color palette roam where it may. Don’t let yourself feel limited to a few colors – brides are utilizing embellishing colors, bright pops of color and different hues to make their wedding their own. The only thing stopping you is what you might find available online. Specific shades can be hard to find. Make sure you look around before you settle on those creative colors. Freeze your cake for the first year. Frozen cake just isn’t for everyone. If you aren’t a huge cake person, or simply don’t see yourself fawning for it a year later, drop the freezing-your-wedding-cake tradition and get a small one when the year mark rolls around. It’s becoming rare to see divisions of families at weddings. Cute signs are now seen guiding guests to whichever side they choose to sit on, because why separate the families who are coming together to celebrate the same two people?